It was one of those things that came up in conversation, as these things do. 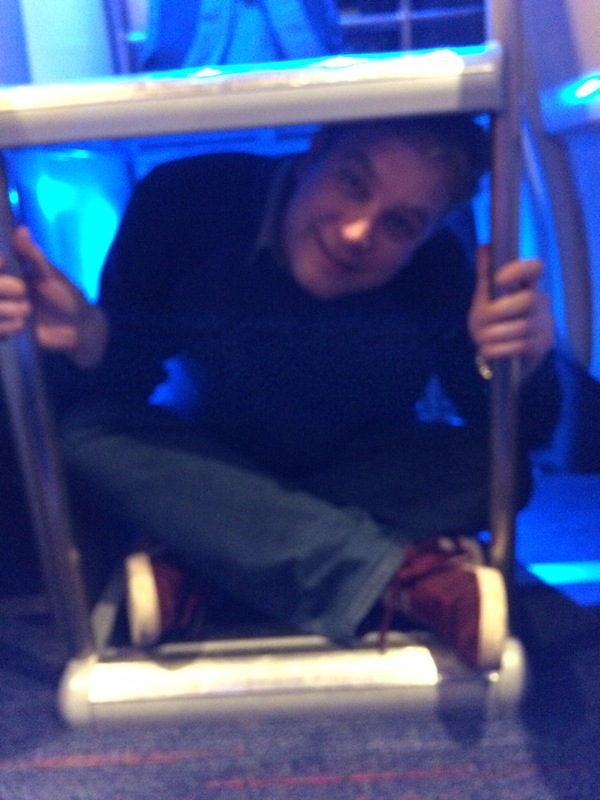 We were discussing Stedders’ blog of football trips and someone (Sean?) said: “We should do a blog of our trips.” So here it is: a trip to Morecambe, or, in search of butter pies. It was an early start, all of us up by 5.30 to make the 7.30am train to Lancaster. There was some reasoning behind this, it was cheap, very cheap, and plenty of Dons had the same idea. The younger fans were loaded with crates of booze but we decided we could wait for a few hours, there would be plenty of time for beer later on. We had bumped into Sean and Graham on the concourse at Euston and when the train was called we found a table in a fairly quiet unreserved carriage. Peace was soon shattered when some more lads laden with booze staggered down the carriage: “I’m Leeds United,” shouted one to his mate in an accent that suggested he had never set foot outside London, “I’m not sitting in a two seat.” We felt smug at our table and relieved as they carried on in search of what they seemed to think was their god given right into the next carriage. The rest of the journey passed fairly uneventfully. We kept Graham amused with a moving Google map on an iPad and thick fog was good enough to descend and obliterate a certain city from view. I waxed lyrical (apparently to the point of obsession) about the possibility of finding a butter pie on our trip. I love a butter pie, surely somewhere in Lancaster would sell them? We arrived before ten and headed to the local ‘Spoons for breakfast. This was a breakfast stop before the pub crawl proper but Sean, Ian and I all felt that it would have been rude to ignore the Salopian Darwin’s Original. We were rewarded in our choice although Graham’s “Punk is dead” from Vale was in rather less impressive condition. We were joined by Northamptonshire Richard, whose journey had involved a similarly early start, a bus and three trains. Just as we were leaving Tim Hillyer, who had travelled on the same train from London as us, turned up having first gone to the other Wetherspoon’s in town, which was closed for refurbishment. Notable by her absence was Grimsby Alyson who had decided that crazy golf in Morecambe was a better prospect than a pub crawl. We trundled along the tow path and arrived at The Water Witch, which did open at 11am. “I will always love you” was blaring out. Five pints of Kirkby Lonsdale Monumental were ordered, which was generally declared to be very pleasant indeed. 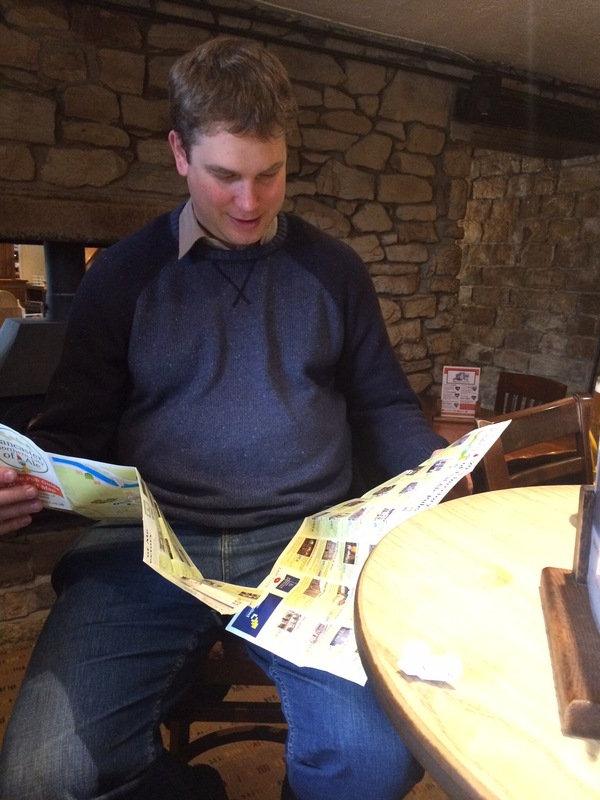 The landlord brought us over some pub maps of Lancaster, which Graham immediately compared with an earlier version he had. The website of The White Cross was checked and it stated that the pub opened at 11.30. A rare mistake from Graham, although Richard pointed out that the Good Beer Guide app was wrong and gave the opening time as 11am. “Careless Whisper” came on. Followed by “I will always love you” followed by “Careless Whisper.” Sighs all round. Eventually the music changed, but not for the better. “Music that makes you want to stab your eardrums out,” noted Graham. He wasn’t wrong and, while we were enjoying the beer and the pub, we drank up fairly quickly. As we were leaving the pub Tim Hillyer turned up. This was getting to be a habit. After we explained the music situation Tim decided to join our crawl. We strolled into town. I noticed Pound Bakery, a place given legendary status by my friend Gerald: think Greggs but with multiple items available for a pound. Or, on one case six sausage rolls for £1.10. This upset Graham who thought the place should change its name to the Pound Ten Bakery. I still craved a butter pie and there were none, for either £1 or £1.10, in the bakery. We made plans to wander through the market after the next pub where there were rumoured to be local food stalls. We were heading to The Tap House and another disagreement about directions broke out. Richard pressed Google map’s claim, we followed him and there was the pub. Graham 1- Richard 1. A collective sigh of relief as we walked in and found the pub free of bad music. Two of us ordered Hardknott’s Brownian Motion, a salted smoked porter, while everyone else went for the Hawkshead Pale. The Brownian Motion was a little salty but not overpowering and worth trying. Tim made an announcement: he was no longer going to tick beers due to all the special variations being produced for festivals and the like. It’s an interesting point, although I rather like trying specials – I’m never going to drink every beer out there and if tasty beer comes out of it then that’s a good thing. We enjoyed the relaxed atmosphere in the Tap House but there were butter pies to find and other pubs to visit so we moved on. We passed Greenhalgh’s bakery, a place I’d also found online. They sell butter pies – but with cheese in. Now, I love cheese but a butter pie is not the place for it and this would not do. We walked down Market Street but there were no stalls of interest. Graham bought a pork pie from a Cornish stall but nowhere in this part of the market sold Lancastrian delicacies much to my disappointment and Richard’s – he’d been hoping for Lancashire Sauce and potted shrimps. We headed to The Sun to cheer ourselves up. Richard and I went for an Early Grey IPA from Lancaster brewery but as I was on table seeking duty I failed to note what the others had. The pub was much busier than the others we’d been too, where we had been pretty much the only customers, but some old boys left and we squeezed into a space partly built into a wall. The Earl Grey IPA was nice, if perhaps lacking the bergamot hit I’d been expecting. We decided that there was just about time to fit in a final pub and get a taxi to Morecambe so we took a brisk stroll to The Three Mariners. 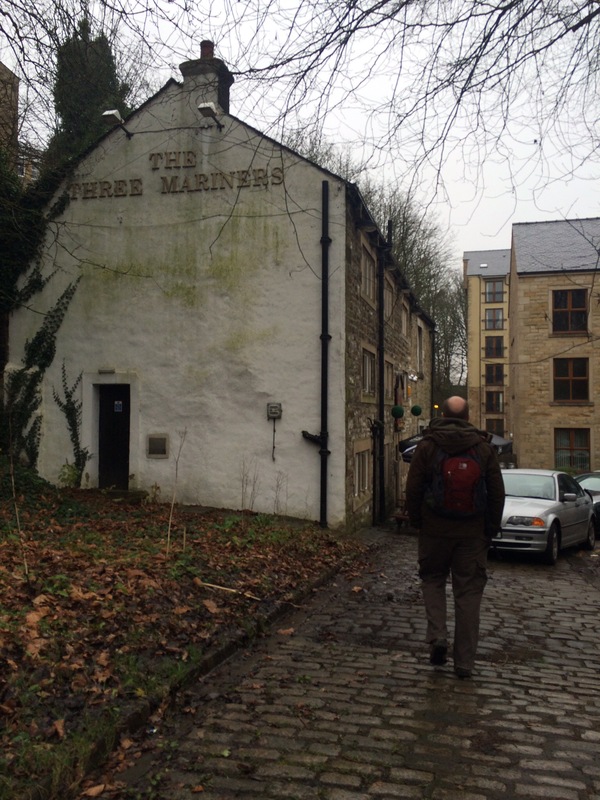 We were glad we’d made the effort, the historic pub, near the River Lune, was welcoming and comfortable. Ian and I went for a customarily good Oakham Citra, to much tutting from others who declared it too southern for the trip. They went for a Derbyshire beer (which I forget now). Richard ordered cheesy chips, only to discover when we found a table that he could have had potted shrimps had he seen a menu before ordering. We enjoyed what we thought would be the final pre-match drink before the taxi arrived. The taxi was pretty quick and we found ourselves arriving at the ground with time to spare. A swift half of Cross Bay’s Sunset Blond and we trundled around to pay the £21 Morecambe were demanding. The £21 entrance was a moot point. 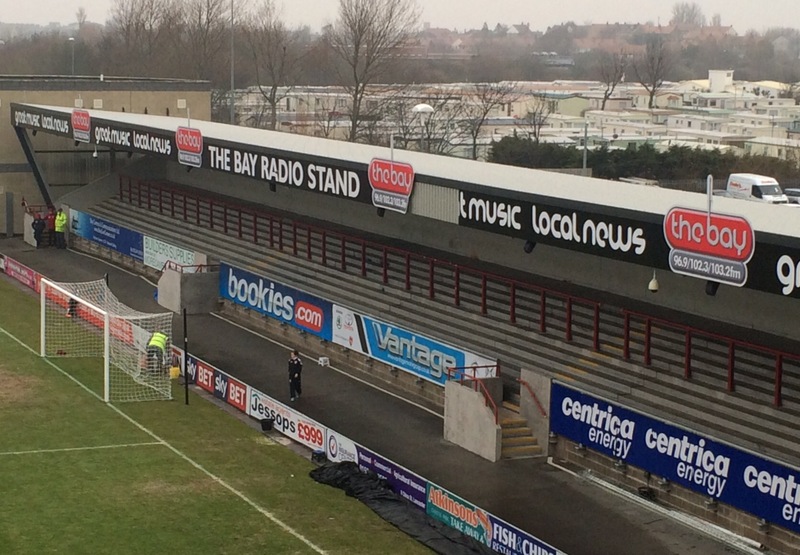 Morecambe have a terrace that away fans can use but they choose not to open it for most games, instead forcing supporters into the more expensive seats. This is within their rights but it leaves a bad taste. In the week preceding the game I’d emailed Morecombe FC about this, as had others. The answer we received was a stock one that suggested we complain to the Football League if we thought they were breaking rules (we knew that they weren’t – this is a moral issue). AFC Wimbledon always offer away fans both seating and standing accommodation, as do several other clubs who have the option, regardless of how many they bring – it would be nice if others could do the same. As it is, short term gain seems to be Morecambe’s goal, failing to realise that this may stop fans returning in the future. The game itself was another frustrating one. New signing Rhys Murphy started and while he looked understandably rusty, he managed to get the ball in the net (albeit disallowed for offside). I fully expect him to start to make a big difference when he gets a bit more game time under his belt though and he could yet be important to our injury and suspension ravaged side. Half time came with the game 0-0. I tried in vain to procure a butter pie (Morecambe are famed for their pies but they only had two options and neither was butter) and merely ended up with some Carlsberg that I tried to pass on to anyone that would drink it. The frustration continued in the second half with ten minutes ultimately deciding the game. The defensive frailties seen in recent weeks led to Morecambe’s first goal and then Lyle Taylor immediately hit the post. It was reminiscent of the previous Tuesday when Dons’ had a chance cleared off the line at 2-1: crucial moments were going against us. Just like on Tuesday it got worse too. Sweeney conceded a penalty and was dismissed (the correct decision – although he had little choice we felt) and suddenly it was 2-0 and 11 against 10. The much maligned (not by me) Francomb pulled one back at the death but it was not to be. A second loss in a week and we were out of the play off positions. Things are by no means over yet and a first midweek without a game in a month or so will be welcomed by a squad of pretty tired and jaded players. With Sweeney out on Saturday we’ll have to hope that the centre-back that Ardley has been targeting comes in on loan to shore things up in defence. 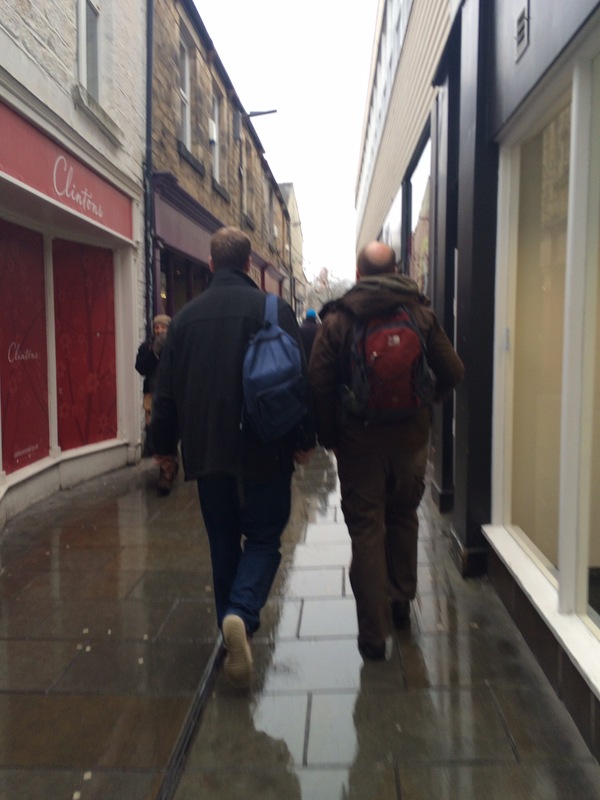 We’d pre-booked a taxi back to Lancaster and planned to try one of the two pubs nearest the station. First up we walked into The Robert Gillow but a couple of dozen elderly women setting up music stands was enough to put us off and we hot footed it to Merchants 1688 instead. Set in the cellars of an old wine merchants this is an atmospheric pub full of interesting spaces for punters to congregate in. We spotted some of the northern Dons and conversation flowed: “It’s like The Willoughby [our usual home pub] away,” someone commented. And it was. Sure, the football is what we travel for but the company and conversation is what makes it a good day out. These two things also meant that I completely forgot to note down what anyone drank: I am a poor ticker. There was a procession from Merchants to the station just up the hill. The team were also on the platform and seemed to be having a bet about where first class would be, with half one end of the platform and half the other. The group nearest us lost out and had to troop past us, we encouraged them with comments about there still being plenty to play for. We managed to get another table in an unreserved carriage with room for Richard across the aisle. There were more Dons throughout the carriage and several songs were sung. Conversations continued with Graham declaring that egg mayonnaise sandwiches “are akin to a rubber fetish.” We supped Red Willow’s Tilting Ale (produced for Virgin Trains) and generally put the world to rights. A trip to the toilet produced some rather unexpected “entertainment” as giggles, a hand dryer turning on several times and a voice shouting “get your foot out of my face” suggested that there may be more than a single occupant. I banged on the door in my best train guard manner and nipped down to the next carriage. People departed at various stations. Lyle Taylor got off at Wigan and gave us a wave and a smile (Grimsby Alyson will be most jealous), Runcorn Simon was next at Warrington and Richard left us at the place that shall not be named, accompanied by a loud chorus of uncomplimentary singing up and down the train. We carried on to London where Sean decided to head home after a long day. Ian, Graham and I carried on. Alternative seating…why do away days end like this? The venue was host to a double birthday party for Orient supporting friends. The O’s fans were all in good spirits after a 1-0 win at Oxford and we were pleased for them: who doesn’t have a soft spot for Orient? We drank Lagunitas and chatted football, trains and politics until exhaustion took over and we left to get the 26 bus back to Hackney. As Sean said the following day: a good day out ruined by 90 minutes of football (and the lack of butter pies).